Calm…assertive…moose? You’re probably thinking that I’m a little crazy. 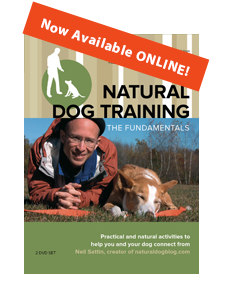 Well, maybe not - if you’re here reading you're at least curious about how natural dog training works, and what it means to use the prey instinct to resolve problem behaviors in dogs and elicit obedience behaviors. In the end, I think that you’ll find that “being the moose” will be a much more effective way for you to envision yourself around your dog, especially as you engage in training AND play exercises. Also, once we start to talk about resolving problem behaviors in our dogs, you’ll see that there’s no other way to be. Notice the difference between standing sideways to your dog and facing your dog - the first is much more prey-like, the second...predator. There are times when each is appropriate, but you need to become aware of the differences that each produces in your dog's behavior. 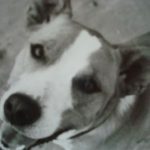 Also, please read my article on pushing, a fundamental natural dog training technique that will help your dog be even more attracted to you. In general, what you want to do is foster some of that calm, assertive MOOSE energy. Breathe. Use your newfound quietude to observe what your dog does, and ask yourself, frequently, if what you're doing is making your dog more attracted to you or less attracted to you. Ultimately, the explanations matter less than the actions, and it all boils down to the results. In dog training, it’s important to slow down, relax, and, more than anything else – pay attention. If what you’re doing isn’t working the way you want it to, try on a different perspective…one more “moose-like”. Neil, I need time to let this roll around for a bit, some of my questions might be irrelevant once I've had some time to sit with it. Thanks for the food for thought! Sure thing! FYI, I made a few edits in the "Practice things like:" list for clarity. My "new" dog Stevie is high energy, perpetual motion and constantly barging into other creatures and their space. The fastest way to get his attention when he is winding up is to take his space by stepping in it. He will almost immediately calm down and become attentive if it is done without eye contact or acknowledgment of his presence. I think i just answered my own question by typing that out, but how do you see this fitting in with the predator/prey model? Can you offer some words on how to consider space and what it means to the interactions we have? 1. Think of stress in a dog as stored up energy. Their chief mechanism for resolving that stored up energy is by "making prey". 2. So when a dog is in an intense situation, if you have done enough preliminary work (something I will definitely cover in its own post) so as to "insert" yourself in the "I'm feeling charged up and so now I need to DO something with this energy" circuit, then your dog will look to YOU as an outlet for releasing that energy (in a positive way) instead of following the path of least resistance (which would be finding something even more "prey-like" than you). Part of "becoming the moose" is to overcome your dog's resistance to interacting with YOU in high energy situations. 3. HOWEVER, a dog needs to be physically relaxed in order to have a healthy "flow" of this energy. If your dog tenses up, then you are much more likely to see a "rapid discharge" of the energy - something like "aggressive" behavior or submissive peeing (this probably applies more to situation #1). I've often described to clients, especially those with "opportunity" dogs (see the next post for that reference), that what we're really trying to do is help our dogs relax at higher and higher levels of stimulation. A relaxed dog feels safe, and the faster the motor gets revving the more rooted/relaxed they'll be. A non-relaxed dog - well, like I said before, they can only take so much before the dam bursts. If you answer the question for your dog of "what do I do with my energy?" then whenever they feel energized they will look to you for the answer. At least they'll look at you first! And it's not a mental choice, it's more like a "pattern of feeling" that they learn. And, as we talked about in another thread, of course it's equally as important that the owner can stay relaxed in these situations as well. I'm working on some video for my first "lesson" - which is a technique called "pushing" that is a great fundamental way to insert yourself into the circuit. Tug of war, if your dog knows how to play it "on command", is another way. Thanks for such great questions. They really merit their own posts, so...stay tuned! I was fascinated by the "moose" theory. I have been to so may dog sites, many totally contradictory, and have also had a trainer for my rescue lurcher who I have had for two months and frankly a cheery voice, jumping up and down, dispensing treats has not done it for him - or for me. I have not yet taken this in fully but I will. I had him on the beach today and he was running like mad. The thing that makes him come back to me is when I start going in the opposite direction - that far more than treats.